Prize: Jewelry making is made much easier when you have the right tools. This pair of Westcott Long Nose Pliers is ideal for so many jewelry projects. 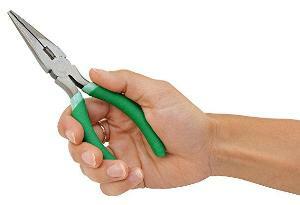 The pliers are comfortable, durable, and great for doing technical work. Statistics: This contest was opened by 149 and entered by 8 ContestChest.com members. 5% of those who opened the contest, entered it.